On Day 4 of our United States Association of Cider Makers’ #PickCider recipe showcase, we want to share a recipe that can be used in multiple meals! Over the past few days you have been treated to recipes for zesty cider BBQ sauce, tempting cider-spiked pickles and savory caramelized onions with cider. 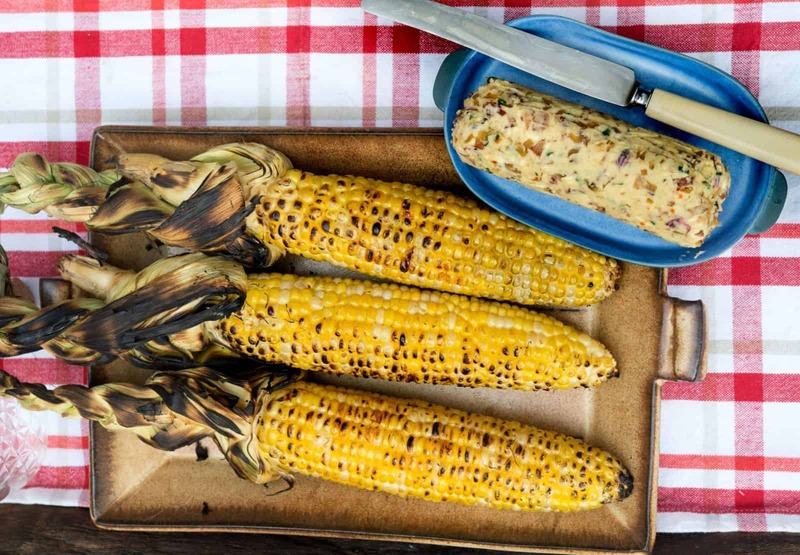 Now it’s time to feature a go-to condiment that’s perfect for topping corn, biscuits, grilled vegetables or any other summertime dish you can imagine. This bacon cider butter can be used to add an extra-special flavor to everyday meals. Prepare a dish of Southern-style fried chicken and biscuits for your upcoming picnic and, rather than offer regular butter, add a twist with bacon cider butter as your biscuit topping of choice. Grilled vegetables will also be given a boost by adding bacon cider butter as opposed to olive oil or butter in its au naturel state. Whatever meal you may be creating, if it calls for butter, impress your dining guests by switching it out with this cider-kissed option. Hosting dinner and inviting vegetarian guests? No problem! Simply omit the bacon and add in shallots and herbs sautéed in olive oil. Cook bacon in a small skillet over medium heat until fat is rendered and bacon is crisp, about 6 minutes. Remove and place on paper towels to drain. Finely chop. Add the shallots to the skillet and sauté until golden, 1 to 2 minutes. Add the hard cider and cook until reduced, about 3 minutes. Cool. Combine the butter, bacon, shallot, maple syrup, chives and chili flakes in a bowl. Add salt to taste. Mix until well combined. Transfer butter mixture to a sheet of parchment paper. Fold paper over and roll into a cylinder, twisting the ends. Chill until solid. Butter will keep refrigerated for up to 2 weeks.